Made of quality polyester fabric, fully-lined, non-sheer and non-stretchable. 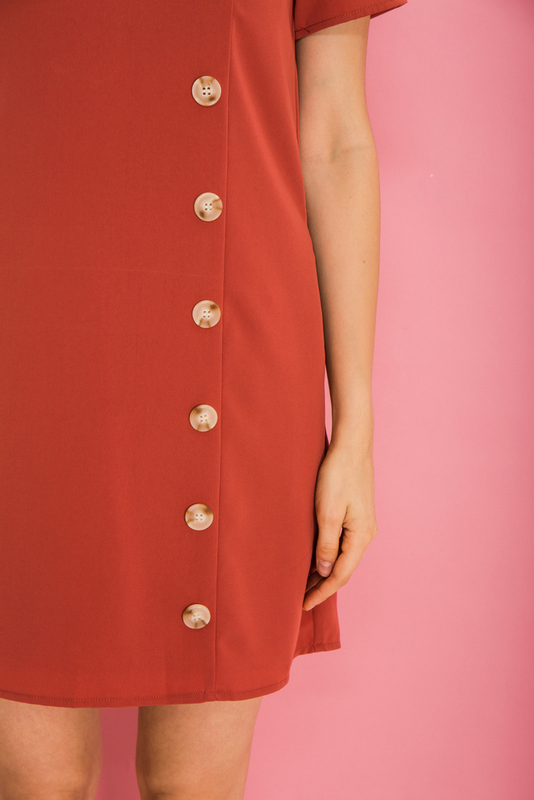 Features v-neckline, faux overlay detail, non-functional tortoise shell buttons and worn in a loose fit. Complete with a concealed back zipper for ease of wearing and comes with functional side pockets. Waist 15" 16" 17" 18" 19"
Hips 17" 18" 19" 20" 21"
Shoulder Width 14.5" 15" 15.5" 16" 16.5"